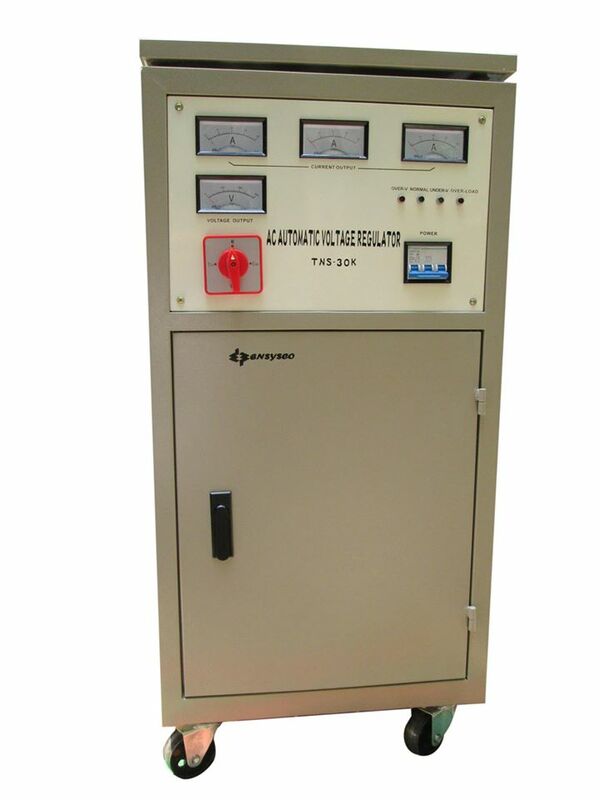 The unstable voltage can damage our expensive equipments, the automatic voltage regulator or AVR is a device intended to regulate voltage automatically that is to take a varying voltage level and turn it into a constant voltage level for any type of load or load power factor. This is where a voltage regulation becomes so important. AVR Is designed with solid state electronic controls and protecting circuits. The regulation is performed automatically causing a step less continuous operation with high regulation and fast response time. IVS is the suitable protective device for all industrial equipments. It not only provides with stable and reliable power but also offers substantial benefits in performance, reliability and maintenance cost. * Weaving Machines , Knitting & Embroidery Machines. * AVR Capacity - 650 VA.
* Type - Relay / Servo. * AVR Capacity - 1000 VA.
* AVR Capacity - 2 KVA. * AVR Capacity - 3 KVA. * AVR Capacity - 5 KVA. * AVR Capacity - 7.5 KVA. * AVR Capacity - 9 KVA. 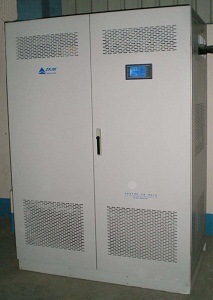 * AVR Capacity - 20 KVA. * AVR Capacity - 30 KVA. * AVR Capacity - 40 KVA. 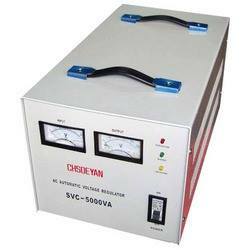 * AVR Capacity - 50 KVA. 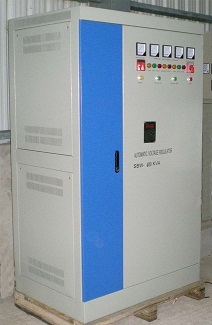 * AVR Capacity - 60 KVA. * AVR Capacity - 75 KVA. 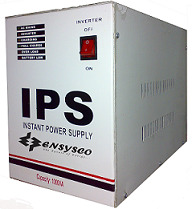 * AVR Capacity - 100 KVA. * AVR Capacity - 150 KVA. * AVR Capacity - 200 KVA. * AVR Capacity - 300 KVA. * AVR Capacity - 400 KVA. * AVR Capacity - 500 KVA. * AVR Capacity - 750 KVA. * AVR Capacity - 1000 KVA.